Try out EndNote for 30 days to see how it can help you search online databases, organise your references, and create bibliographies! 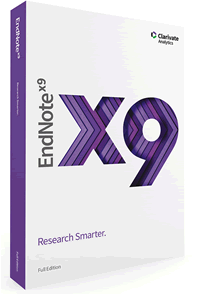 Or try the EndNote X8 for Mac demo. The EndNote trial version is available for Windows XP and above. The EndNote demo is a fully-functional trial version that includes documentation to get you started. You will have 30 days after you first use the program to evaluate EndNote and all its features. After the evaluation period has expired, the program will revert to a feature-restricted EndNote Viewer. export or print more than ten references at one time.